Whether you're sitting in shock that the Freedom Caucus — pretty much the extreme of the extreme when it comes to the Republican Party — just kinda sorta gave Paul Ryan the green light to become speaker of the House or not, it did indeed occur. It wasn't just the bare minimum, either. 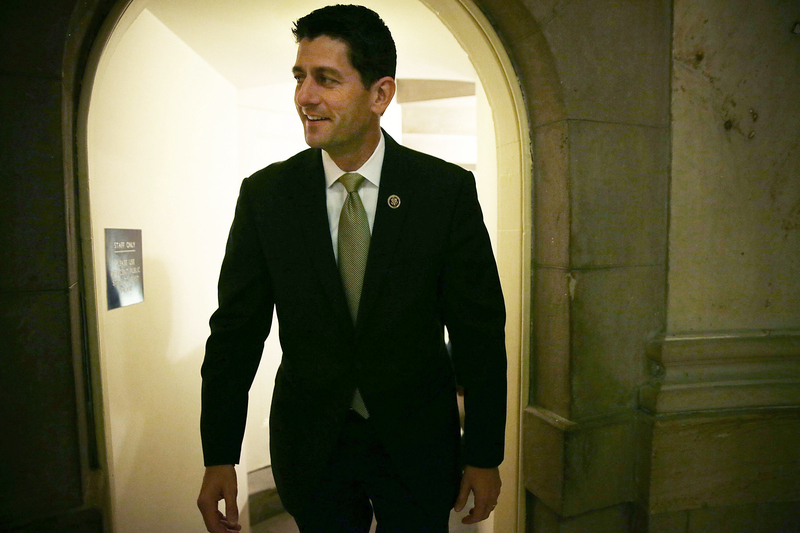 A supermajority of caucus members has expressed support for a Paul Ryan speaker bid. While a formal endorsement hasn't come yet, it's worth going down the memory lane of Ryan's relationship with the GOP at large and what those relations could mean for him if the ever-appealing dream of snagging that House speaker title becomes a reality. Ryan appears to have the respect of a good majority of the Republican Party, and there's plenty of rational thinking behind those feelings. When Mitt Romney called on Ryan four years ago to be his running mate in his presidential campaign, Ryan already had a history of expertise in domestic policy and finances, and there's not much doubting his conservative stances in these areas. Not long before joining Romney's run for the White House, Ryan proposed a budget which would have made Medicare a voucher program, lowered federal spending, and brought tax cuts to the wealthy. He has also been unafraid of making his religious beliefs and pro-life advocacy known to the public in the past. But Ryan is really moderate as far as the Freedom Caucus members and other hard-liners are concerned. A big no-no in the eyes of more conservative Republicans has been Ryan's stance on immigration, which has included support of a path to citizenship for undocumented immigrants. And (cue the horror on conservatives' faces) Ryan has even worked together with Democrats. The Republican representative teamed up with Democrat Patty Murray to put together the Bipartisan Budget Act of 2013. This mix of real conservatism and willingness to engage in bipartisanship may appear to make Ryan look like the perfect candidate to take Boehner's place. And in theory, he might be. But the fact that Ryan is more of a conservative than Boehner likely means that hard-liners have placed even more trust in him and consequently would have higher expectations of him as House speaker. If and when Ryan doesn't meet those expectations, things at Capitol Hill could get even uglier than they did when Boehner was around. But let's not get ahead of ourselves. There exists right now a few elephant-sized unknowns in the room that need addressing. In the game of chicken being played between Ryan and the Caucus, the hard-liners pretty unexpectedly gave in first by generally expressing support even though Ryan hasn't publicly agreed to the kinds of procedural changes (like a House rule that would allow a simple majority to force a speaker to vacate the chair at any time) that the Freedom Caucus has sought. So whether this support for Ryan will last is way up in the air. Then again, maybe more happened at those meetings that's to be revealed. While it seems unlikely at this point that Ryan struck any sort of deal that would strip the speaker of power, Rep. David Schweikert of Arizona said following Wednesday's meeting that he was "very optimistic" that Ryan would agree to the kinds of changes Caucus members wanted. And that formal endorsement mentioned earlier? For Ryan to get one, he needs not just any supermajority but at least 80 percent of caucus members to vote in support of his bid for Speaker of the House. That would mean rescinding the Caucus's previous endorsement of Rep. Daniel Webster of Florida. But the way things are looking now, no formal endorsement will be needed because it seems the GOP is out of options and will have to acquiesce to Ryan's conditions.